“A willful judge can distort history to reflect his or her own personal views," the Supreme Court's longest-sitting justice said. Dean of the Law School Michael Schill introduced Scalia, mentioning his time as a U of C law professor from 1977–82, and his help in founding the Federalist Society in 1981. Scalia, who was appointed to the court in 1986 and is the longest-sitting justice on the Supreme Court, is known for his conservatism, humor, and fiery yet accessible judicial opinions. Scalia began by defending originalism, which refers to the method of resolving issues before the court using the original meaning of the founding fathers’ words at the time the Constitution was written. That method operates in contrast to evolving constitutionalism, which reinterprets the Constitution in modern contexts. 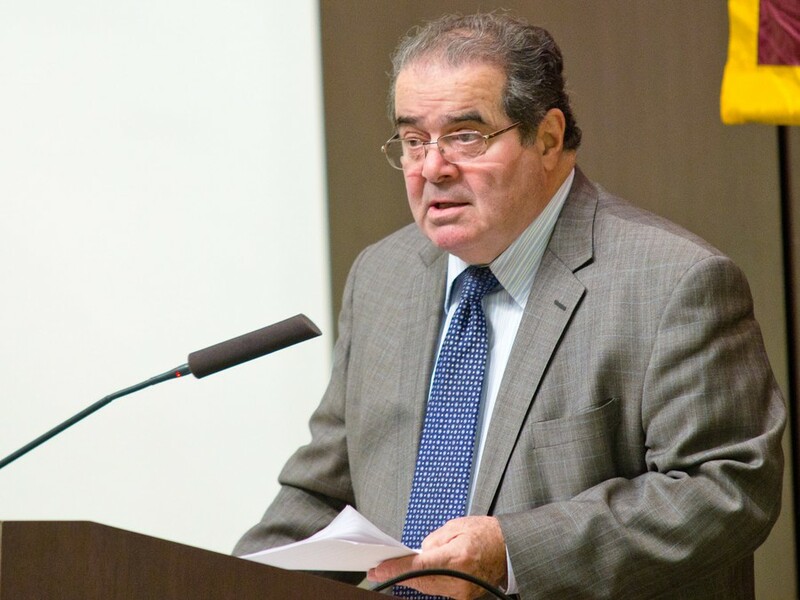 “It goes well beyond determining the historical usage of words,” Scalia said in his explanation of originalism. Though not always a straightforward or perfect solution, Scalia argued that originalism is the best way of interpreting the Constitution. Lawyers, like historians, he said, are trained to interpret and not decode the moral philosophy behind legal documents. “History is a rock-hard science compared to moral philosophy,” he said. The Court receives many useless amicus briefs that do not address the historical context of the issue under consideration, Scalia said, referencing interpretations of the Second Amendment’s right to bear arms. He also reinforced the idea that lawyers are qualified to make decisions based on historical analysis when they have appropriate information. “Conclusions to be drawn from these facts are, it seems to me, the Court’s responsibility and cannot be passed off to a professional historic class. To be sure, a conclusion contradicting a uniform judgement of historians should give one pause, but ultimately it is the judges’ call,” he said. He ended his speech with a final defense of history over subjective moral interpretations. In a question-and-answer session following the lecture, Scalia elaborated on his views of constitutional interpretation and the politics of the judicial branch. His support of originalism is reflected in part in his respect for the Framers’ desire to restrain the legislature over time. “Future society could not only mature, it could also rot,” he said. Scalia said that he does not always agree with the Court’s decisions, but the body is aware of the political climate in which it operates. At the same time, Scalia said, the role of the Court is becoming increasingly involved in politics, a role supported by the evolving constitutionalism method. “When people figure out that the Supreme Court is amending the Constitution turn by turn—people aren’t stupid. The most important criterion [then] is, is he or she going to write the Constitution I want? Of course it’s going to find its way into the confirmation process,” he said. When asked what advice he could give to law students, Scalia used John Marshall, the fourth Chief Justice of the Supreme Court, as an example of a lawyer who was also involved in his community. In honor of his high regard for history, Michael Schill presented Scalia with a first-edition autobiography of Benjamin Franklin from 1794 as a gift for speaking.